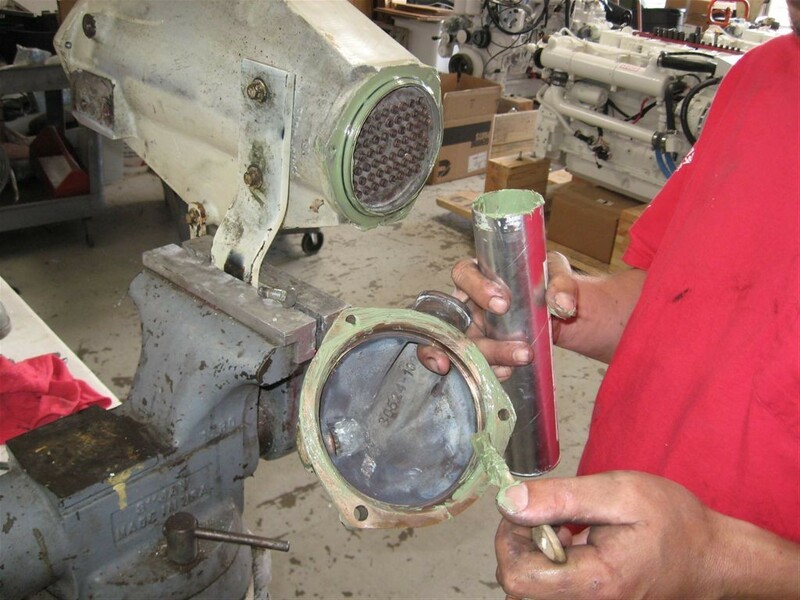 Seaboard Marine offers a wide variety of cleaning & repair services for aftercoolers, heat exchangers, transmission oil coolers & seawater pumps. Our in house facility is well equipped to service and maintain your valuable seawater components. Please see below for a fee schedule regarding cleaning services. Please note that prices and turn-around times often vary due to the condition of the received seawater components. Note: Return shipping is the responsibility of the customer. *Fee schedule assumes that the component sent in for cleaning is serviceable. 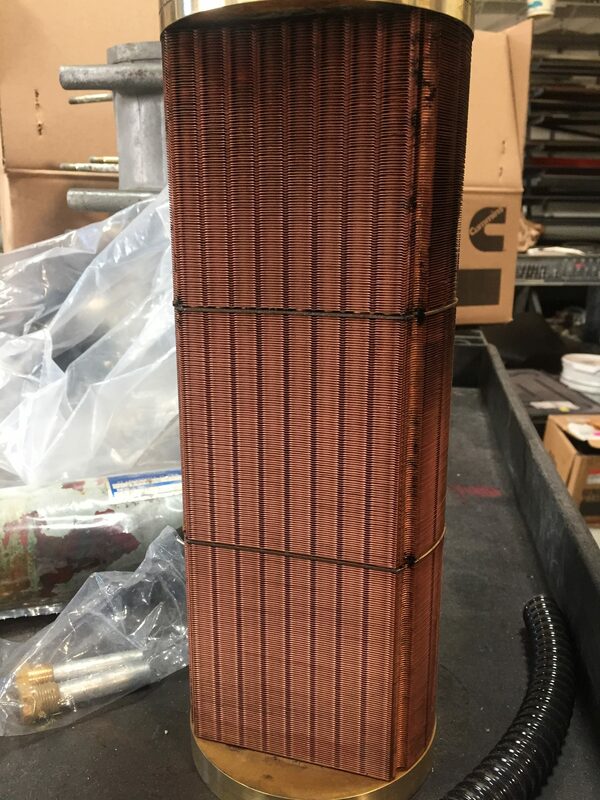 On ALL new engines that leave Seaboard, we disassemble the new aftercoolers and lube them up as we know what happens down the road to a “dry” factory assembled aftercooler. Even on BRAND NEW coolers, we see the early signs of corrosion and if the factory would just listen to what I’ve been trying to tell them for at least 23 years now, lots of problems associated with servicing these coolers would disappear. They seem to think that a little oil or grease on the O ring is all that’s needed. Another case of true couch engineering and the thought process that goes with it. 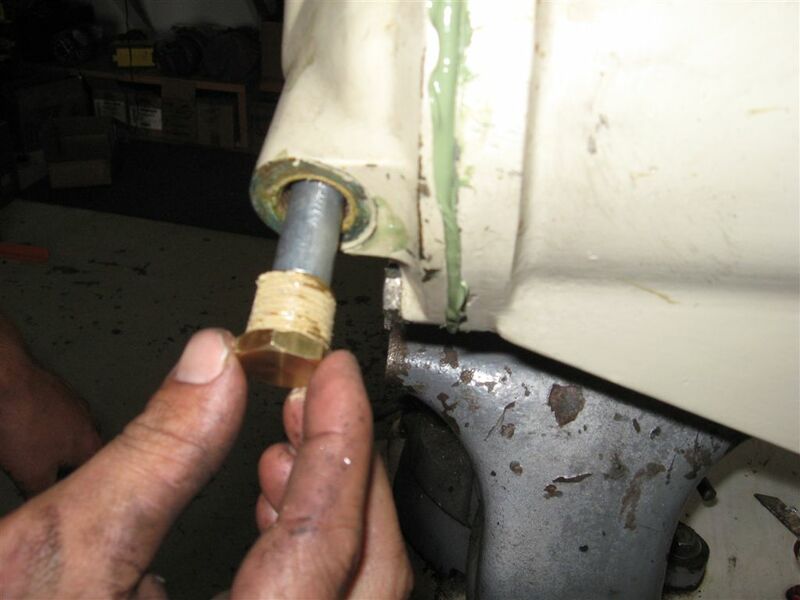 WE start by removing the complete aftercooler from the engine and putting it a vise so it is easy to work on and to keep the cooler horizontal. Leaving the brackets on the cooler makes for a much easier place to hold it. Index both end caps BEFORE removal as this way you don’t have to figure out later how they orientate. Remove the caps and remove the bundle. If your cooler has not been apart before, this can become a challenge. I sometimes have to use a block of wood, hammer, WD 40, etc., to get it loose/slide it out. Upon removal, you’ll notice that the air intake side is much funkier that the air exit side. Sometimes, lots of black slimy sludge. This is somewhat normal, but varies from boat to boat. 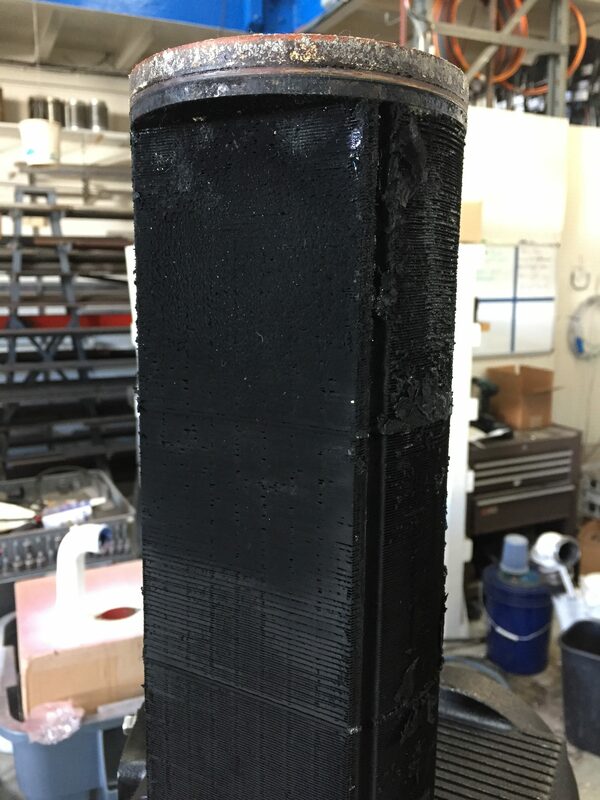 The fins are very fine and they act as a strainer, and between that, the cold seawater going thru the center causing condensation on the fins, minuscule amounts of oil mist that’s just about always present in the engine room air, molecules of oil that leak past the turbo seals, dust, salt laden air, and ? 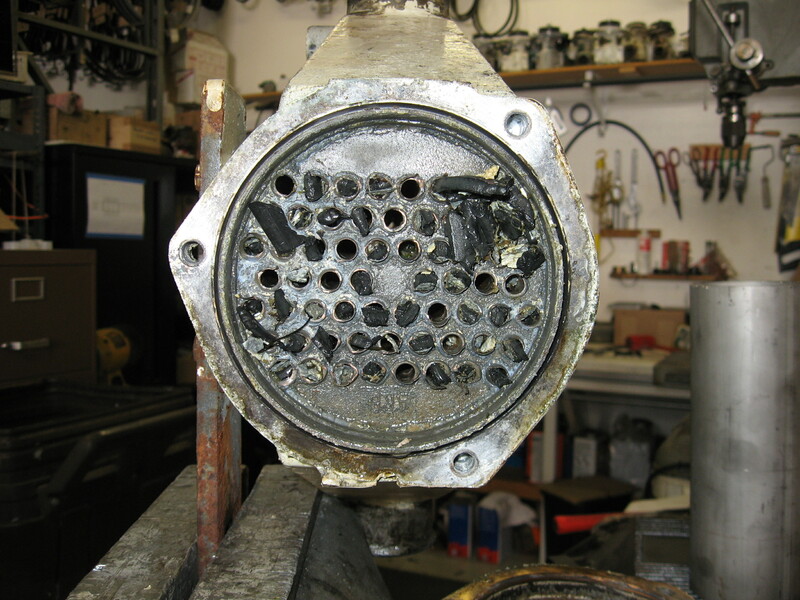 ?, these aftercoolers can sometimes look very dirty.